How’s that for a work perk? 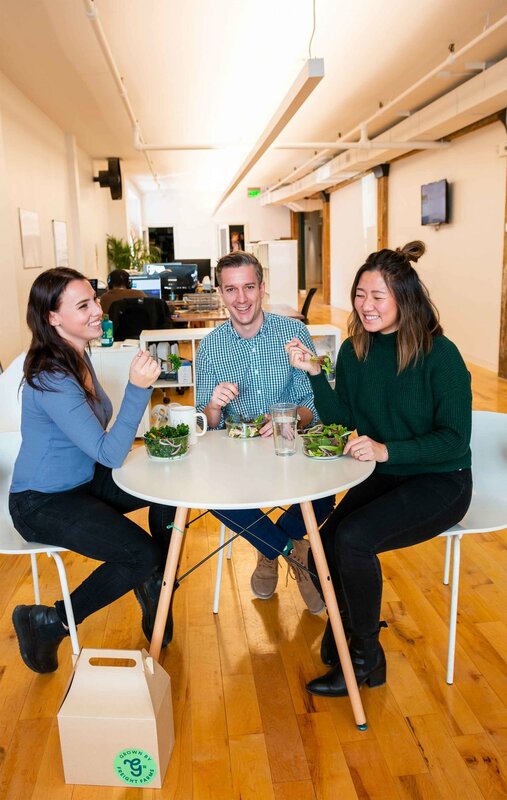 Sign up for the Freight Farms crop share program to get a personal box of leafy greens delivered to your office every week. Each share is filled with greens harvested that same day from a farm in your area, so it tastes better and lasts longer! 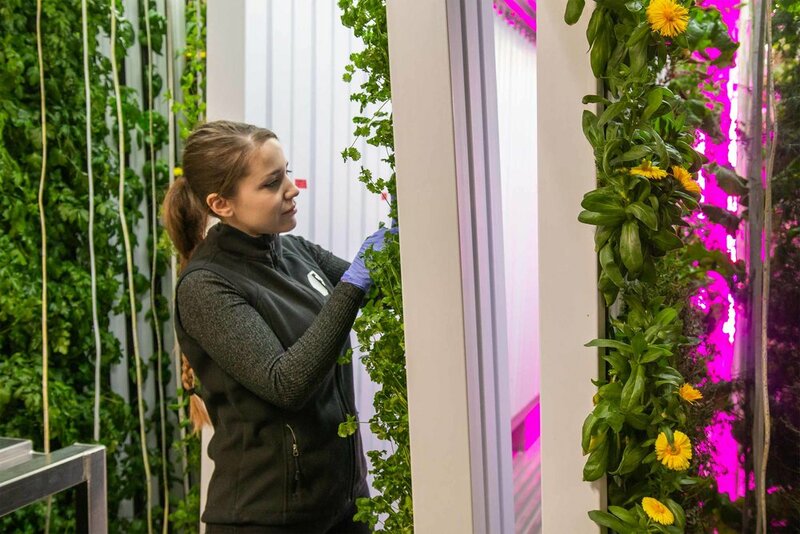 Our indoor vertical farms can grow greens anywhere in the world–even a city sidewalk! Since the plants are grown safely indoors, we have no need for pesticides, herbicides, GMOs, or any other weird additives. Our climate-controlled farms yield predictable harvests regardless of heat waves or snowstorms. Bonus: We can grow your favorite summer greens year-round, so you always get a great variety! Experience fresher and more flavorful greens, thanks to a much shorter travel time from farm to desk. In fact, unlike other producers, we harvest and deliver on the same day. That means less nutrient deterioration and a significantly longer shelf-life. What's in a typical Share? and well-balanced diet, they’ll be the stars of your weekly share! What can I do with my greens? Need inspiration? Don’t worry, we’ll send some of our favorite recipes too! It’s simple! We grow a variety of lettuces, herbs, and hearty greens exclusively for you at a nearby farm. Every week we’ll harvest, package, and deliver your share directly to your office. From there, you bring home your share and get cookin’! We’ll be in touch weekly to remind you about pick-up and let you know what to expect in each share. Sign up for a weekly delivery of fresh produce grown locally year-round in a clean, soil-free environment, without any unwanted additives or pesticides. Unlike other farm share programs, we tell you exactly what to expect in each box. 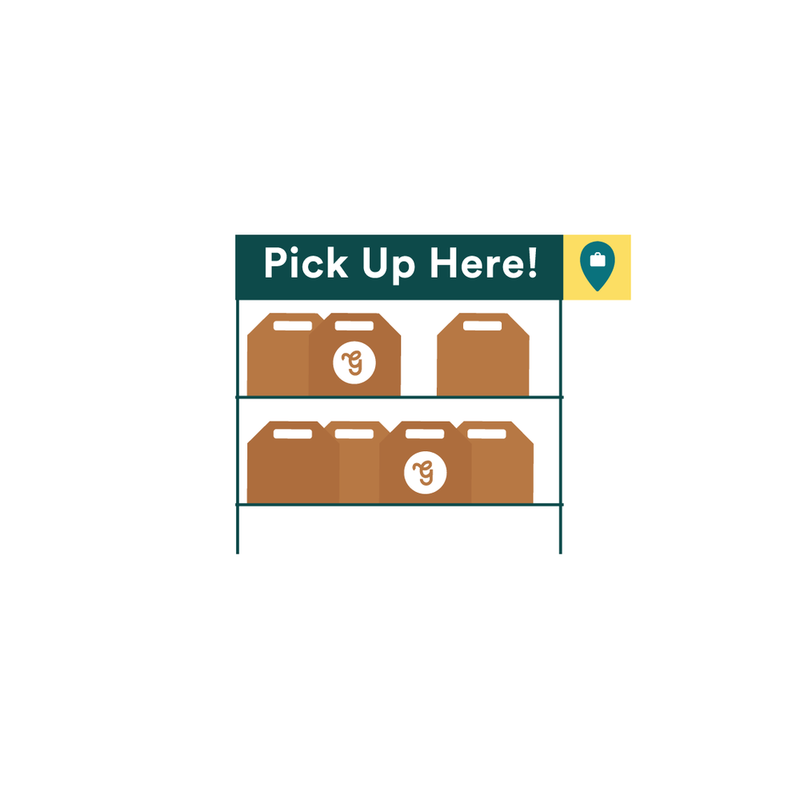 Each week you’ll pick up your share at an convenient on-site location. Our grab-and-go packaging will keep your just-harvested greens safe and fresh, whether you're storing them in a cramped gym locker or hustling to make your busy commuter train. Bring home fresh lettuces, herbs, and hearty greens that will transform even the most simple meals. With a rotating variety of artisanal, flavorful, popular, and unique crops, you'll never be bored with what's in your fridge. Each session is 15 weeks long. You’ll have the opportunity to re-enroll for the next session at week 10. + How does pick-up work? We’ll work with your company to find the best day, time, and location for you to grab your share! Typically, pick-up will be in the late afternoon so that we can bring you same-day harvests and prevent the greens from sitting out. + What if I’m out during pick-up? Since we deliver only once a week, we will not be able to defer pick up on an individual basis (we will find alternate days if pick-up conflicts with a corporate holiday or company outing). If you will be out of the office during pick-up, please give us 12-hours notice so that your share stays refrigerated. Without this advance notice, we may not see your email in time and your share will be left out for pick up (potentially compromising the quality). If something comes up last minute, please let us know as soon as possible and we’ll try to get your share back in the fridge quickly. + How does payment work? We ask you to pay for the 15 week session up front so that we can plant and cultivate all the seeds for your share. Payment occurs via a secure online portal. + How frequently will I be charged? Your subscription will automatically renew at week 10 unless you decide to cancel. If you decide to end your subscription, you can cancel it within a week of receiving the notice (i.e. before week 11 begins). + How does cancellation work? All of the program dates are scheduled around the farm’s growing cycle. If you don’t cancel in time, we will have already planted your share of the greens and we won’t be able to retroactively cancel your subscription or issue a refund. + What happens if I leave the company? If you leave the company, you will be credited a prorated amount based on the remaining shares left in your subscription. A colleague who has been placed on the waiting list will then be offered your spot instead. + How do I provide input? Our farming experts will curate the shares to make sure you get the best experience each week! We’ll reach out with a survey throughout the 15 week session to get your feedback. + How can I get in contact with Freight Farms about my share? We’ll set up a web page with all the details of your Grown program and contact information so you can reach out with any questions, concerns, feedback, etc. + How often will you be emailing me directly? We will be reaching out… Once a week, to remind you about pick up and share recipes. Every 5 weeks, with a survey to collect feedback. On week 10 of your subscription, to remind you about auto-renewal and the cancellation window. As needed, if there’s any kind of change to the share or pick-up schedule that you should know about. And ASAP, in response to any of your emails!